We’ve added topic tags. Community creators can set a list of tags that chosen when creating a new topic. E.g. on the Ideas & Feedback board we’re using them to mark topics as In progress, Resolved, or Planned. 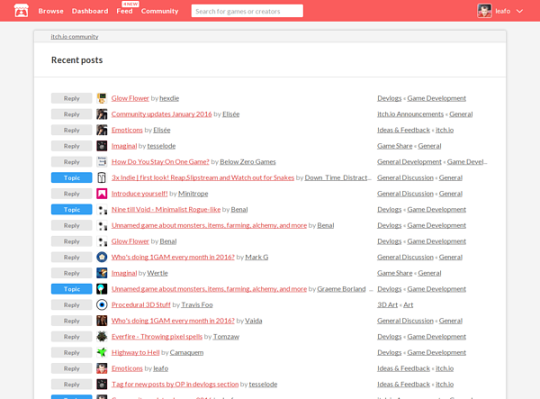 All of these updates apply to all communities on itch.io, including the ones you can add to your project pages and jams. You can read the entire update on the community updates topic. Additionally, you can check out the announcements board for any other updates and announcements. The Superpowers game maker #MegaThread! Look forward to many more updates in 2016!